The Sleep Cycle Alarm Clock is associate App by Maciek Drejak Labs that uses the measuring device in your iPhone to record the movements in your sleep. As you fleet between periods of light sleep and deep sleep (rapid eye movement, REM) throughout the night, and if you awaken throughout lightweight sleep, the app is able to inform you in the morning. The core aim behind this app is to wake you up at the optimum moment during a phase of light sleep, as opposed to the jarring effect of being woken up mid deep sleep. Many times such incidents have happened when you were deeply asleep but the alarm at the wrong time awakened you. That is most likely as a result of your alarm woke you up throughout deep sleep, and the sleep cycle app is particularly adept at avoiding this. Your brain goes through cycles of sleep throughout the night. Every cycle takes two or so three hours to complete, and so you’ve got three windows of your time wherever you’re in lightweight sleep, and you’ll be woken up feeling fresh. The Sleep Cycle Alarm Clock App tracks your sleep cycles and wakes you up inside 1 hour window that you just set the night before (note, this can be changed to as little as 30 minutes, but the larger the wake up window the better the app performs). 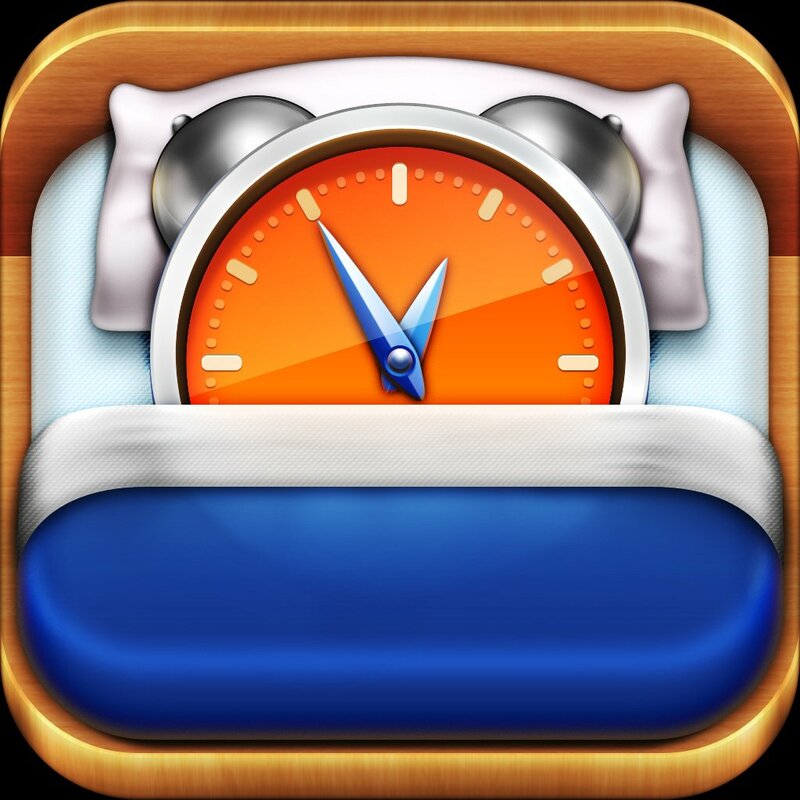 Throughout that hour, this app can wake you up at the optimum moment. In the morning, you’ll see a graph of your sleep cycle, and quickly observe your sleep quality. It shows periods of your time throughout the night that you just were awake and periods of your time in deep sleep. This App additionally displays a rating of your sleep quality, which it can measure over time to allow you to monitor your sleep quality. Despite the apparent good thing about feeling fresh and awake once your alarm clock wakes you up, there are some minor drawbacks to the Sleep Cycle Alarm Clock App. An hour is quite a large window, and it makes a big difference if you are being woken up at say 5 am rather than 6 am. I wake up early to hit the gym in the morning, but the gym doesn’t open until 6 am. Ideally I would wake up at 5:30, which gives me time to dash in the shower and to get kitted up. A regular alarm allows me to do that, but with sleep cycle, I have had situations where I have been woken up at 5am, feeling bright and awake, only to wonder what to do. As daft as it sounds, I then end up snoozing and sure as dam it, when 5:30 rocks around, I am left feeling drowsy again. So I guess in essence, sleep cycle can make your morning routine less regular, with varied preparation times. The temptation can be to push the alarm so that the latest it can wake you up is right on the latest time that you can get up in the morning. This somewhat mitigates the wake up window, but I have had stressful mornings where I have had to bound out of bed doing this. In truth, a lot of the above is needless, as the easiest and most sensible option is to shorten the wake up window, which gives you many of the benefits, if slightly less pronounced. The final option is to use sleep cycle as a regular alarm clock, just with additional metrics around sleep quality. For sleep cycle to work, you need to have your smartphone in bed with you, either under the bed sheet (as recommended by Sleep Cycle) or as I did, you can just leave your phone on the corner of your bed. This is important so that the app can use your phones accelerometer in order to measure your sleep movements.